Wool and Wheel: Book haul (bargain books and thrift store finds). Honestly, books are my one weakness when it comes to purchases. Not clothing (in general, I could care less about buying clothes), shoes, jewelry, fabric, or even yarn (as much as I do love yarn), but books. I bought these two last month at Ollie's. Our store just got in a huge shipment of religious fiction, and seriously...most of these books were published in the past two years or so. Practically new releases! I've heard good things about Barefoot Summer (Rissi!). 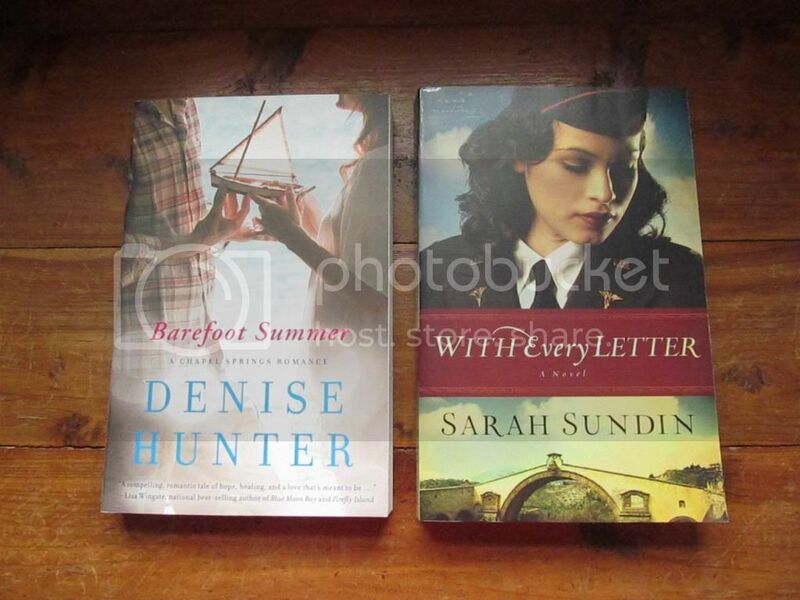 And I read and loved Sarah Sundin's Wings of Glory series (except the third book...I own it but haven't read it yet), so I was excited to find the first book of her new WWII series. I can't remember which is which, but one of these was $3.99 and the other was $4.99. These four came from my local Goodwill, which has a pretty amazing book section. The paperbacks were $2 and the hardcover was $3. (They've gone up on their prices, but they're still relatively cheap!) I love the idea of an Austen-ish memoir, so All Roads Lead to Austen should be good. Brideshead Revisited is a classic that seems to appear on a lot of lists. I have a bit of an obsession with memoirs about Paris and I love dessert, so Paris, My Sweet sounds like something I'd love. 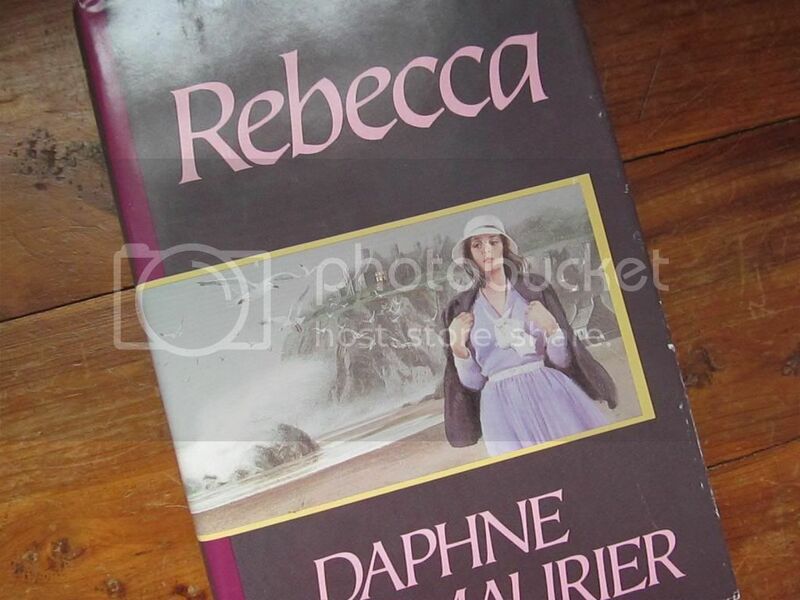 :) Then there's Rebecca, which I am really, really excited about reading! 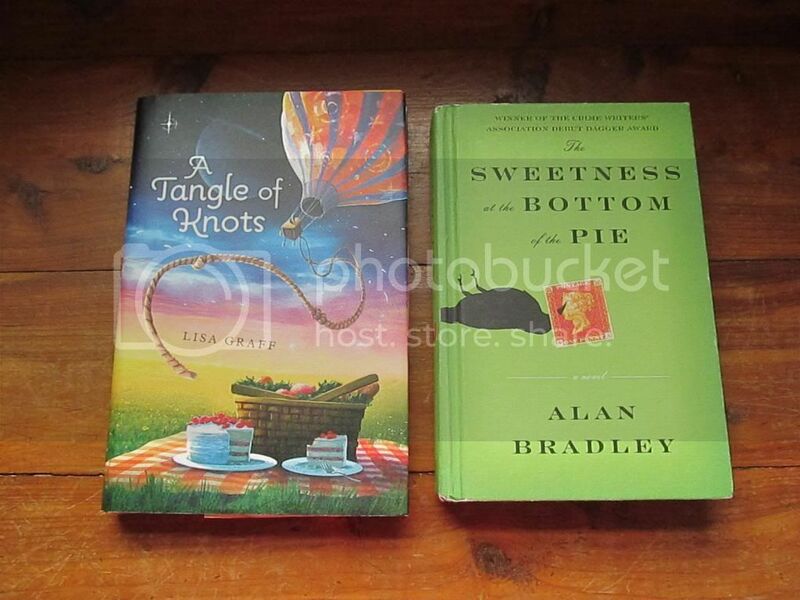 Then we went to another Goodwill (whew), where I found a hardcover copy of The Sweetness at the Bottom of the Pie. I read it (from the library) in February and really enjoyed it, so I'm pleased to have my own copy! I always keep an eye out in thrift stores for books from this series, but this is the first time that I've actually found one. It was $2.50. I know exactly how you feel! I could open a small library with the books I own and I haven't even read all of them yet. 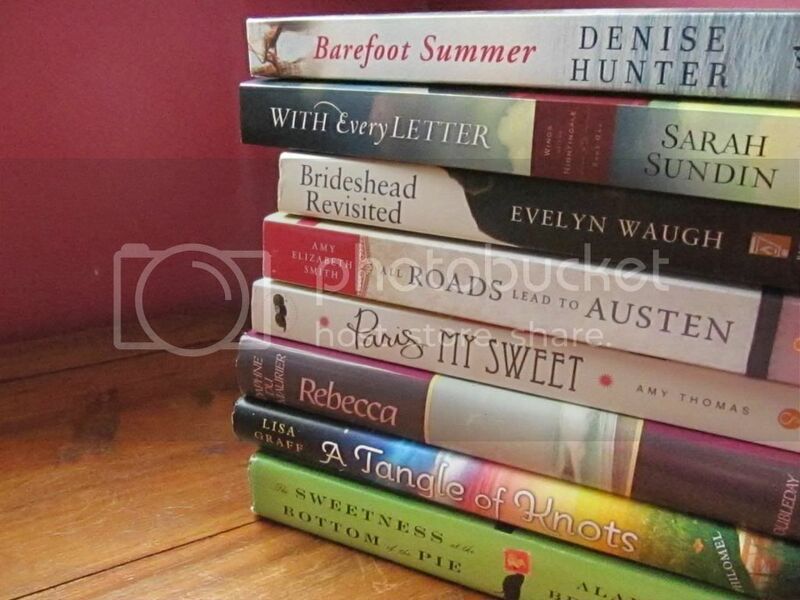 My weakness is old books (love that musty smell) and I have a huge book bucket list that includes authors like Charles Dickens and Mark Twain (I *heart* the classics) I am always on the lookout for new books to read and have often felt that I don't choose my books, they choose me. If I could just get a huge chunk of my unread books read, then I don't think I'd feel quite so bad about buying more! I love old books, too, though sometimes I feel paranoid about reading them if they seem fragile. :) I like that about books choosing you. I used to buy books all the time, but lately I've been feeling like I have to much stuff and I need to be less materialistic. So I've started getting rid of books that I'll probably never read again. I now have a stack of about 30 books that I need to read so I can decide whether I want to keep them or not. The only problem is, now that I've isolated them as such, I find myself not wanting to read them because it feels too much like work. I've read and loved those top two. 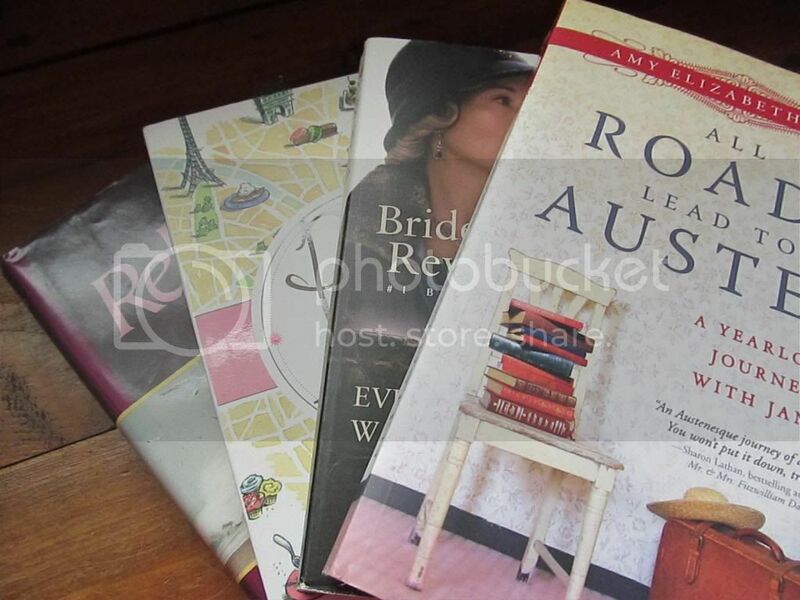 I need to get my hands on the Austen one--looks fun. You know, I don't think I've read Brideshead Revisited, but I'm pretty sure I've seen a BBC adaptation. I'm glad you agree on its hideousness. :) The Hitchcock film is what made me want to read the book! Last time I went to my local Goodwill I found 3 books to a 6 books series I'd read in high school. Not even consecutive three books: #2, 4 and 5. Then I went to the Salvation Army down the street and found #1, 3 and 6. It was destiny. Their paperbacks were $.75 each so I bought too many books. I haven't even put them all away. They are stacked around my house like crumbling pillars. That was totally meant to be! :) I've had things like that happen occasionally. Like once when my mom and I went to a library book sale and I told her that I was looking for a specific old Hollywood autobiography that is out of print. Not five minutes later, I put my hands on it (and it was missing the dust jacket, which would have made it a lot more recognizable :). I'm planning on going shopping to the "city" this week so that may also involve a bookstore trip. Who knows what I'll come home with. I'm like Melissa. I've not read 'Brideshead' though I did see the re-made movie. I'm looking forward to reading it! I might wait until it gets a bit warmer, though. Somehow it feels like a book with a title like that should be read during the summer, ha. :) You've inspired me to check out more contemporary Christian novels lately. You collect books like I collect DVD's! I love finding cool books for good deals, though. You really need to read With Every Letter. It's one of Sarah's best, plus then you can read the next book in the series (On Distant Shores), which is just as good if not better!